I have been in a bit of a food rut recently. Schedules have been quite busy around here, and dinner has taken the back burner…or no burner at all, really. Instead I have turned to simple suppers that require very little planning and even less prep. Salads, sandwiches, and burgers on the grill have been on regular rotation. That being said, the other day I was looking at my cookbooks and realized that while I have too many, I rarely ever use them. I tend to look through them thinking the recipes sound delicious, but then put them aside because I don’t have the right ingredients, the recipe makes a huge amount (it’s just my husband and me after all! ), or the directions look a little too daunting to tackle on a busy weeknight. Despite these hurdles, however, I have issued myself a challenge. A small sample…clearly the Betty Crocker is well loved. I am going to cook through an entire cookbook. I don’t know how long this will take me…it could be a very lengthy process, but I am going to do it. I’ve selected Ellie Kreuger’s cookbook, So Easy: Luscious, Healthy Recipes for Every Meal of the Week . Her recipes are always delicious, healthy, and as the title suggests – easy. Kicking off my project this morning, I decided to make a smoothie for breakfast. I am always a little skeptical of smoothies – ‘how will this glass of blended fruit keep me going all morning?’ I am happy to report, my fellow smoothie skeptics, that my reluctance was all for naught. I enjoyed my fruity breakfast at 8:00 this morning and it kept me energized until lunch at 12:30. Smoothie for the win! I’m chalking this up to all of the extra added goodies. 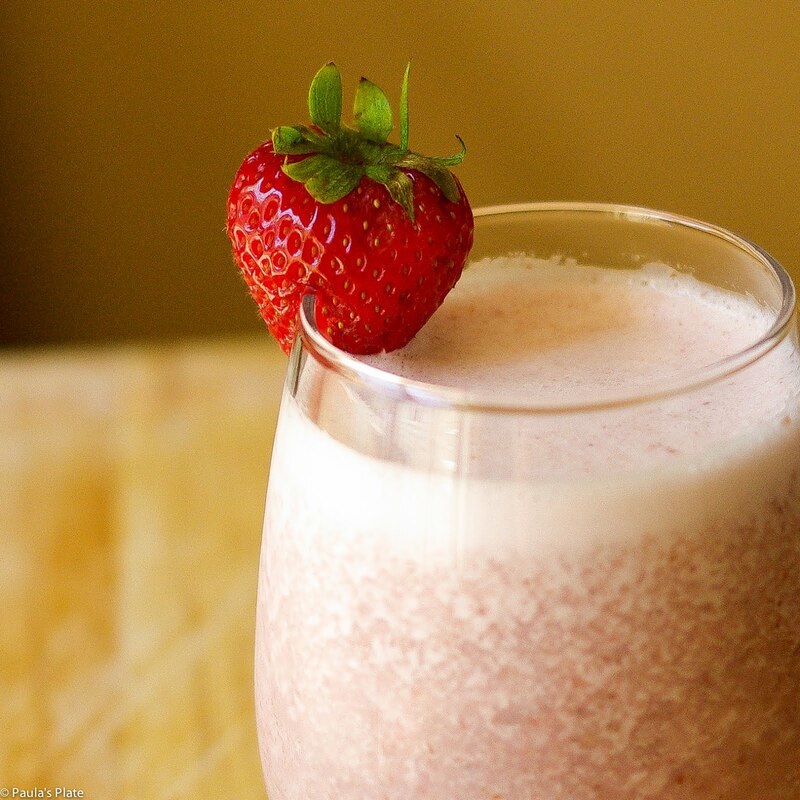 With loads of protein and fiber from the combination of milk, flax seed, almonds, and fruit, this smoothie is a powerhouse of delicious nutrition. 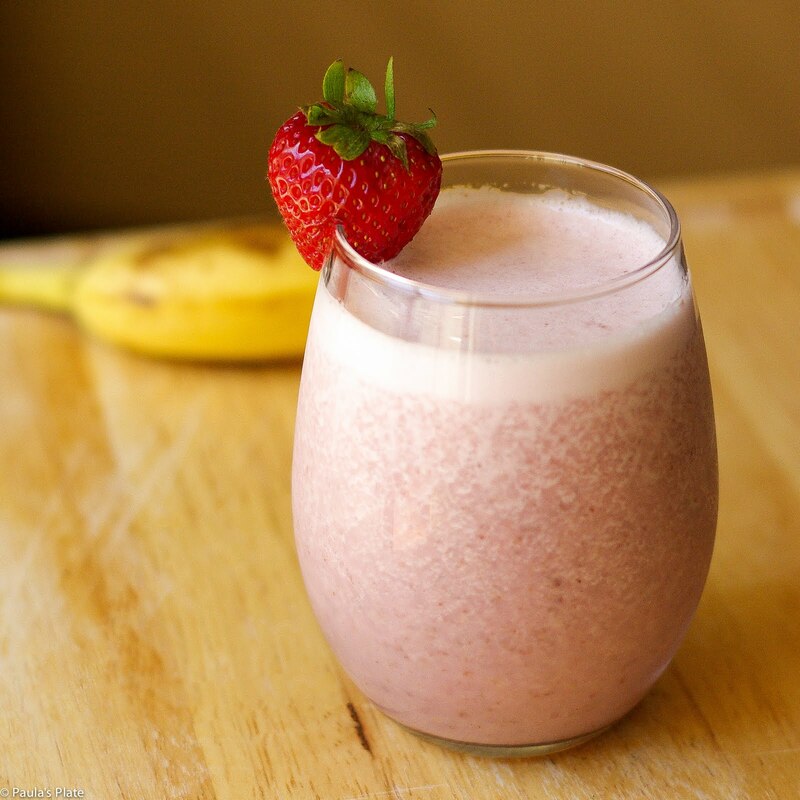 Sweetened with a very ripe banana and a touch of honey, it’s a great way to start the day. The original recipe calls for 2 tbls. of wheat germ instead of flax seed, but because wheat germ has gluten, I opted for the latter option. If you prefer wheat germ, please feel free to use that instead! Do you turn to cookbooks often? Have you ever cooked through an entire book? Let me know below! 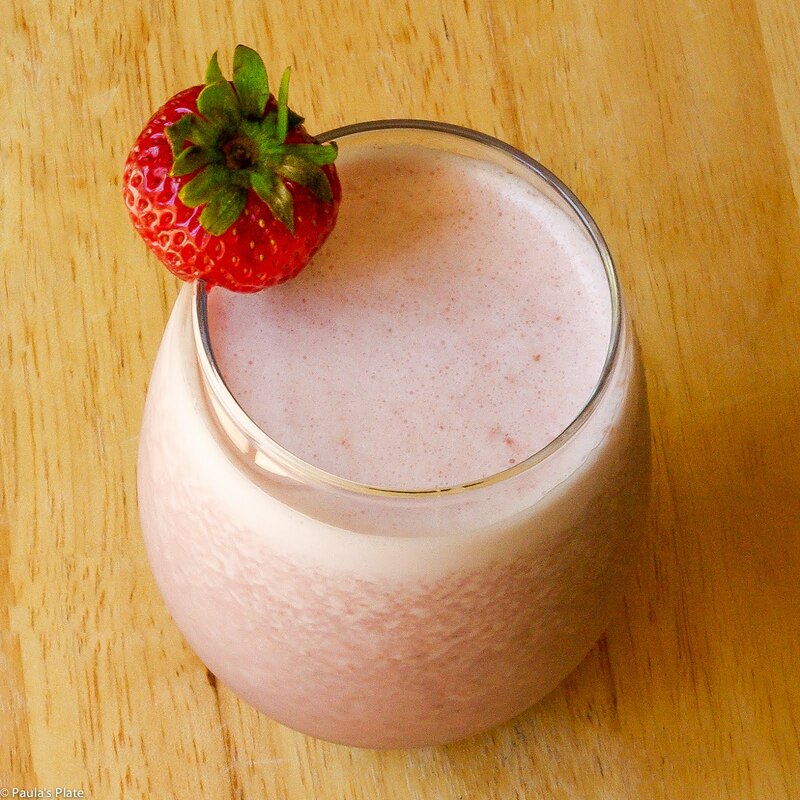 Throw everything into a blender and mix until smooth.